Join us for this year’s annual dinner and dance on Saturday 30 November 2019. Join us for our annual summer outing. This year we will be visiting Eastbourne. 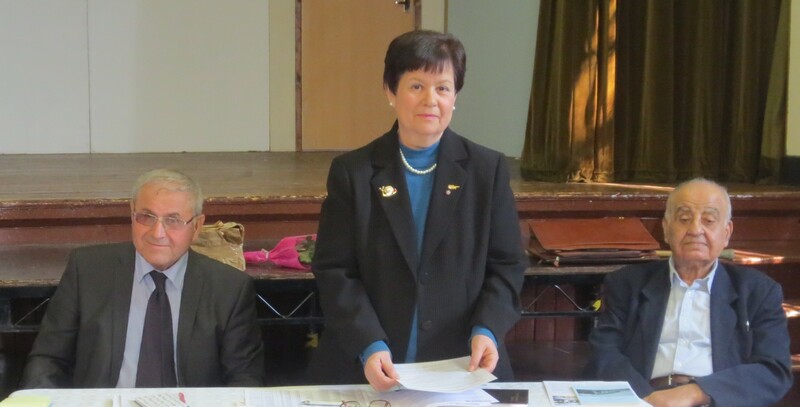 The 43rd Annual General Meeting of the Association of Rizokarpasso held in the hall of the Cypriot Community Centre, Wood Green, was well attended, and gave the opportunity for the members present to discuss the many challenges faced by Cyprus and the specific issues regarding Rizokarpasso, especially in relation to the plight of compatriots who have been enclaved for over 43 years and denied basic human rights. Maria Karaolis, the President, presented a report of the Association’s activities since the last General Meeting. Andreas Gavrielides, the Treasurer’s Report. Pavlos Pavlou presented the Auditors Report. 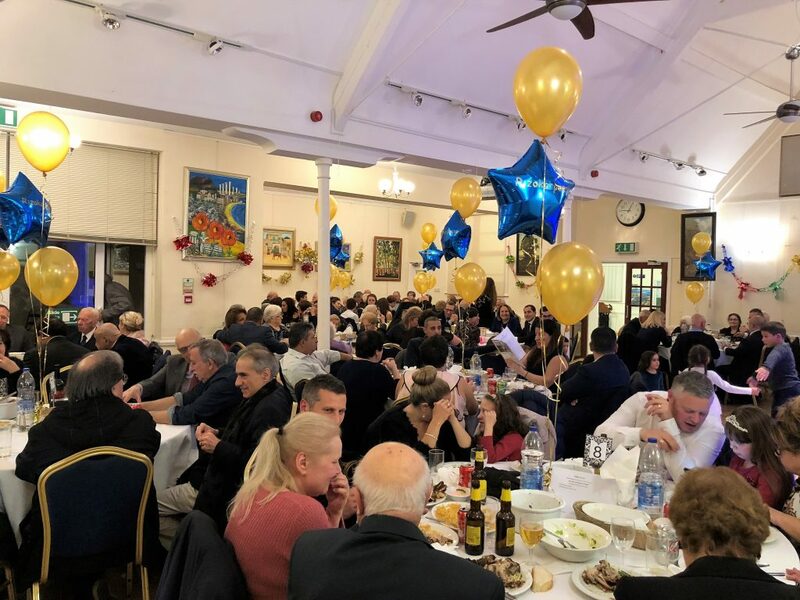 The meeting finished with all the members enjoying souvlakia, catching up on news and discussing their arrangements for the Association’s summer trip to Brighton on Sunday 24th June and to the Annual Dinner & Dance of the Association on Saturday 24th November. 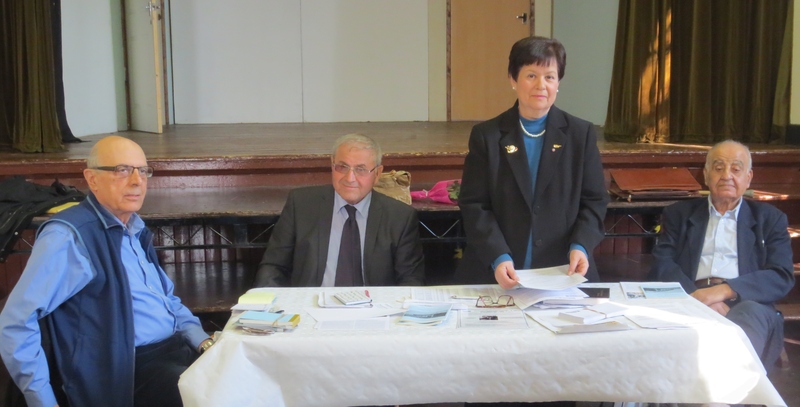 The AGM was attended by the President of the National Federation of Cypriots in the UK, Christos Karaolis. 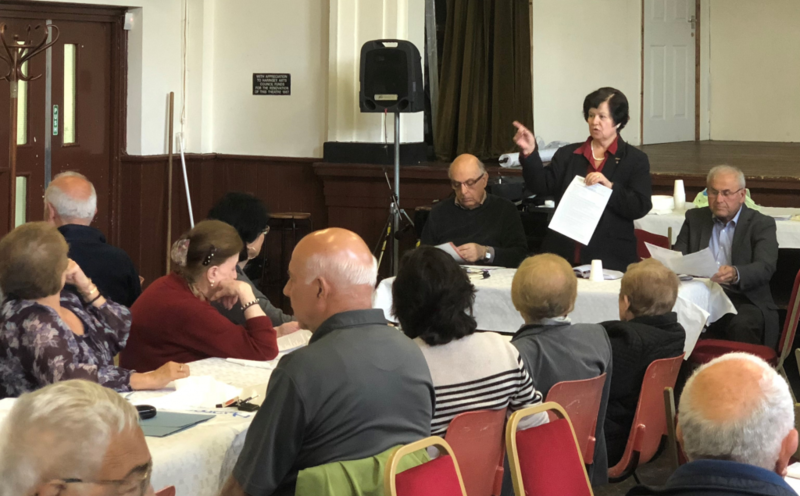 Today at the Annual General Meeting of the Association of Rizokarpasso in Britain we resolved to call upon you not to waver from the principles that UK Governments have set out regarding human rights and the upholding of international law. The future of Cyprus is delicately balanced: we hope that future talks between the President of the Republic of Cyprus, Nicos Anastasiades and the Leader of the Turkish Cypriot community, Mustafa Akinci, will be more successful than those of the past. However, the key to any solution lies in Ankara, which to date has not demonstrated a willingness to support a solution with deeds. Recently Turkey has continued to ignore international law and once again violated the EEZ of Cyprus by sending Turkish warships that prevented the Italian exploration vessel from drilling in Cyprus’ EEZ. Such bullying gunboat diplomacy has no place in the 21st Century. Rizokarpasso, in occupied northern Cyprus, had approximately 4,000 Greek Cypriot inhabitants 43 years ago when Turkey invaded Cyprus. Only 228 enclaved Greek Cypriots, of whom 45 are school children, remain in Rizokarpasso. On a daily basis, the enclaved are denied human rights and basic freedoms. In October last year the illegal regime in occupied northern Cyprus stopped the UN humanitarian aid being taken to the enclaved by imposing duties on the aid. Last week the illegal regime allowed the resumption of UN humanitarian aid. The desecration of the cemetery in Rizokarpasso and the looting and destruction of most of the churches is part of the cultural destruction of the occupied areas which is Turkey’s deliberate policy of ethnic cleansing so that all traces of Greek Cypriot presence in northern Cyprus is eradicated. Our members, were either born in Rizokarpasso or their parents or grandparents were and they look to their UK Government to play a crucial role in supporting and influencing a just solution for all the legal citizens of Cyprus. The UK is a permanent member of the UN Security Council, a leading member of NATO and of the Commonwealth, a member of the Council of Europe, is still a member of the European Union, and has sovereign bases on the island: no other state has such vested historic, cultural, strategic and national interests in Cyprus. At a time when the coalition nations are using UK bases in Cyprus for global security reasons it is important that powerful nations and international bodies act with integrity to stop Turkey from threatening and violating the independence and sovereignty of the Republic of Cyprus, which is an EU state, a member of the UN and of the Commonwealth and is a democracy that provides stability, support and refuge in a volatile region. government’s actions in relation to Cyprus; human rights, democratic principles and the rule of law: values which, by its actions, Turkey does not uphold. Furthermore, in violation of the Fourth Geneva Convention, which forbids an occupying power to transfer parts of its own population into the territory it occupies, over 200,000 Turkish nationals were transferred from Turkey to settle in northern Cyprus and take over the homes and properties of Greek Cypriots. The reunification of the island and people of Cyprus. The removal of all Turkish troops from Cyprus. The repatriation to Turkey of over 200,000 illegal settlers in Cyprus. The return of all properties to their lawful owners. The return of all the refugees to their homes and properties in safety. The abolition of the anachronistic Guarantor Status held by other countries. The full and effective investigation of the fate of all the missing persons. The 42nd Annual General Meeting (85th GM) of the Association of Rizokarpasso held in the hall of the Cypriot Community Centre, Wood Green, was well attended, and gave the opportunity for the members present to discuss the many challenges faced by Cyprus and the specific issues regarding Rizokarpasso, especially in relation to the plight of compatriots who have been enclaved for 42 years and denied basic human rights. Maria Karaolis, the President, presented a report of the Association’s activities since the last General Meeting. Andreas Gavrielides, the Treasurer, presented the Financial Report; and Pavlos Pavlou, presented the Auditors report. The members present said they would be exercising their democratic right to vote on Thursday 23rd June Referendum on Britain’s membership of the EU. The meeting finished with all the members enjoying souvlakia, catching up on news and discussing their arrangements for the Association’s summer trip to Southend on Sunday 3rd July and Dinner & Dance of the Association on Saturday 5th November. All members present received a copy of the booklet by Yianni Stavrinou Economide “History of Apostolos Andreas Monastery” written in Greek originally published in 1967 and recently reprinted. There was unanimous approval for the adoption of the Resolution to be sent to the UK Prime Minister, President of the USA, President of the European Parliament, President of the European Council, President of the European Union, UN Secretary General, Members of the UN Security Council, Commonwealth Secretary General, NATO Secretary General. Rizokarpasso, in the occupied part of northern Cyprus, had approximately 4,000 Greek Cypriot inhabitants 42 years ago when Turkey invaded Cyprus. Only 228 enclaved Greek Cypriots, of whom 39 are school children, remain in Rizokarpasso. On a daily basis, the enclaved are denied human rights and basic freedoms. The desecration of the cemetery in Rizokarpasso and the looting and destruction of most of the churches is part of the cultural destruction of the occupied areas which is Turkey’s deliberate policy of ethnic cleansing so that all traces of Greek Cypriot presence in northern Cyprus is eradicated. Turkey violates the Fourth Geneva Convention which forbids an occupying power to transfer parts of its own population into the territory it occupies. Over 200,000 Turkish nationals were transferred from Turkey to settle in northern Cyprus and take over the homes and properties of Greek Cypriots. The continued occupation of Cyprus by over 40,000 Turkish troops and over 200,000 settlers from Turkey violates human rights, fundamental freedoms and social justice and the very principles at the heart of democracy. Turkey is in flagrant violation of international law and of the relevant United Nations Security Council Resolutions including General Assembly Resolution 3212 (1974). We believe that Turkey’s role as a NATO member should be reviewed and its progress towards EU membership should be frozen until it complies with international law and UN Resolutions. Turkey mistreats its minorities, violates freedom of speech, restricts the media and press; it is not a democracy and should not be allowed to exploit the current migration crisis in Europe to avoid complying with the standards that other NATO and EU nations uphold. Maria Karaolis, the President, presented a report of the Association’s activities since the last General Meeting. Andreas Gavrielides, the Treasurer, presented the Financial Report; and Pavlos Pavlou, the presented the Auditors report. The members present said they would be exercising their democratic right to vote on Thursday 23rd June Referendum on Britain’s membership of the EU. The meeting finished with all the members enjoying souvlakia, catching up on news and discussing their arrangements for the Association’s summer trip to Southend on Sunday 3rd July and Dinner & Dance of the Association on Saturday 5th November. All members present received a copy of the booklet by Yianni Stavrinou Economide “History of Apostolos Andreas Monastery” written in Greek and originally published in 1967 and recently reprinted. Turkey violates the Fourth Geneva Convention which forbids an occupying power to transfer parts of its own population into the territory it occupies. Over 200,000 Turkish national were transferred from Turkey to settle in northern Cyprus and take over the homes and properties of Greek Cypriots. a) The reunification of the island and people of Cyprus. b) The removal of all Turkish troops from Cyprus. c) The repatriation to Turkey of over 200,000 illegal settlers in Cyprus. d) The return of all properties to their lawful owners. e) The return of all the refugees to their homes and properties in safety. f) The abolition of the anachronistic Guarantor Status held by other countries. g) The full and effective investigation of the fate of all the missing persons. Please see the link below for a very moving video on the history of Rizokarpasso with a special focus on the Rizokarpasso Gymnasion and the students.